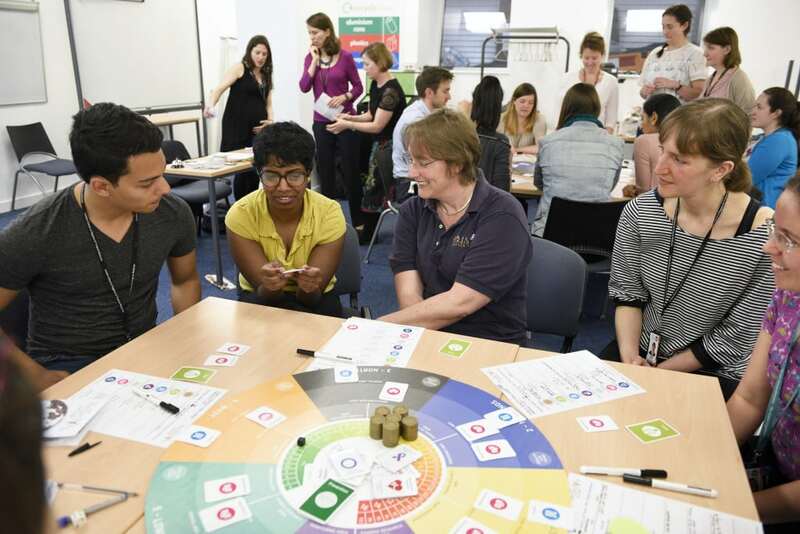 The Perspectivity Public Health Challenge returned to the London School of Hygiene and Tropical Medicine in May, a year after its inaugural launch. The Challenge is now a core part of the Masters of Public Health. This year more in-house facilitators were trained, strengthening our ability to deliver to clients in London. The Public Health challenge certainly resonated with the 45 students who played and who enjoyed putting the learning into practice. An advantage of this interactive process is that students are able to connect knowledge from many different sources; their peers, text book theory and practical experience. ‘It was an iterative learning process in action’. The debrief stimulated many conversations about how new insights and perspectives can applied to real life and work. ‘The challenge was thought provoking and challenging. Initially I felt frustrated and confused, but certainly learnt the value of understanding the system and working together’. As the Public health Challenge is played more and more, a rich and valuable collection of experiences and stories are being captured. We have applied for ethics approval to allow us to formally evaluate the impact of this learning tool.